The P.S.S. 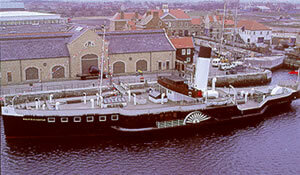 Wingfield Castle was built in 1934 for the LNER as a River Humber paddle steamer. She operated the Humber ferry with her sisters PS Tattershall Castle and PS Lincoln Castle from 1934 until 1974 when the new Humber Bridge was opened. Built at the Hartlepool yards of William Gray & Company, the keel of the Wingfield Castle was laid down on 27th June 1934. Work progressed quickly on the first two sister ships, and they were both ready for launching by the afternoon of 24th September 1934 with a reciprocating steam engine Wingfield Castle could maintain a steady operating speed of 12 knots. She has an overall length of 209ft (63.3m), a beam (including paddle box's) of 56ft (17m) and a gross tonnage of 550 tonnes. Predominately carrying foot passengers the Wingfield Castle had provision on her main deck aft to carry a small number of cars, and pens for livestock. The two sisters where used to ferry troops and supplies along the Humber to wherever they were required. Once hostilities ceased, the peacetime routine was reinstated Excursions continued for some years but as popularity waned they were finally withdrawn in 1967. Wingfield Castle continued to work the ferry route but, with the imminent construction of the Humber Road Bridge, she was finally withdrawn in 1974. Subsequently purchased by the Brighton Marina Company, conversion costs for the P.S.S. Wingfield Castle proved too great, and she was sold on. Her history at this point becomes a little obscure but she appears to have languished in the King George V dock in London for some eight years while a legal wrangle raged over her ownership. During this time she was used as a set for the film 'The Elephant Man' being disguised as an 1824 cross-channel packet steamer, but for the majority of time she was left neglected and vandalised. In an attempt to stop her sinking altogether concrete was poured into her bilge's to seal the many leaks that were appearing. 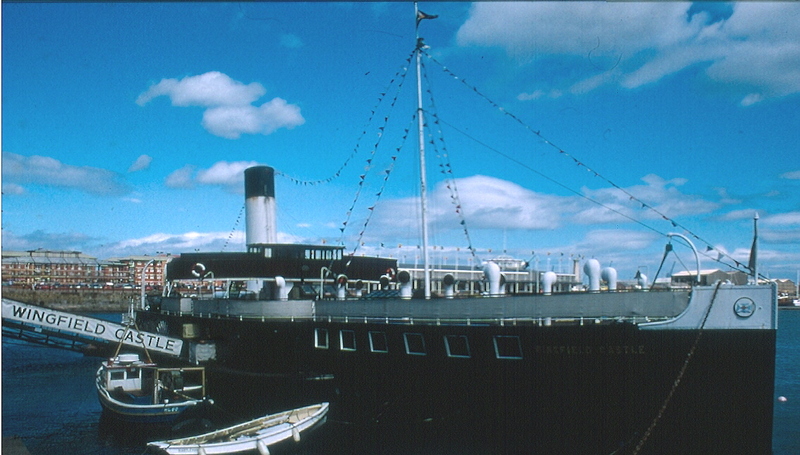 In 1982 Whitbread purchased her for use as a floating public house in Swansea, but the plan had to be abandoned when it became clear that she was too wide to pass through the dock gates into the marina. For another four years she remained in Swansea until she finally returned to her birthplace in June 1986. 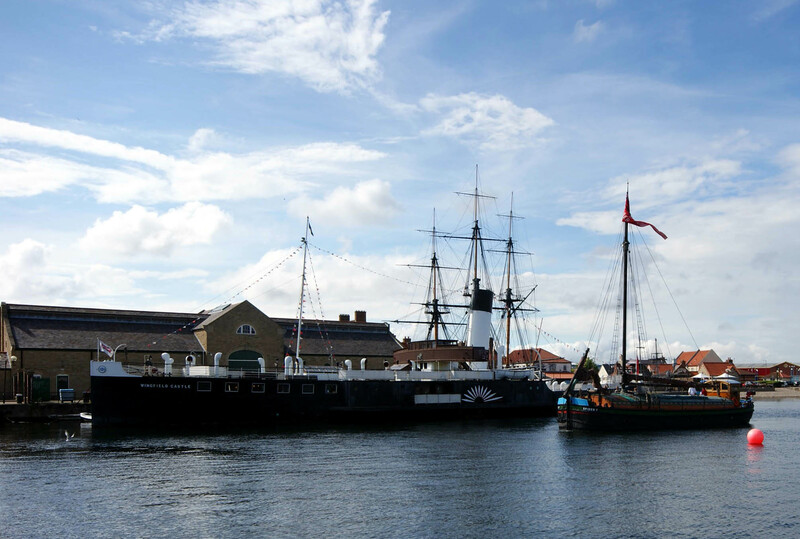 Having been beautifully restored by the skilled workers of Hartlepool, a town that has a reputation for its magnificent maritime restoration projects. 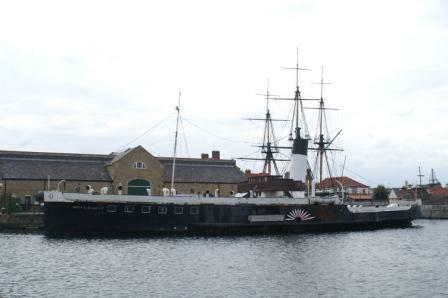 The Wingfield Castle now forms part of the rejuvenated dock area and Hartlepool's Maritime Experience.